So luxurious, so beautiful, and so delicate! 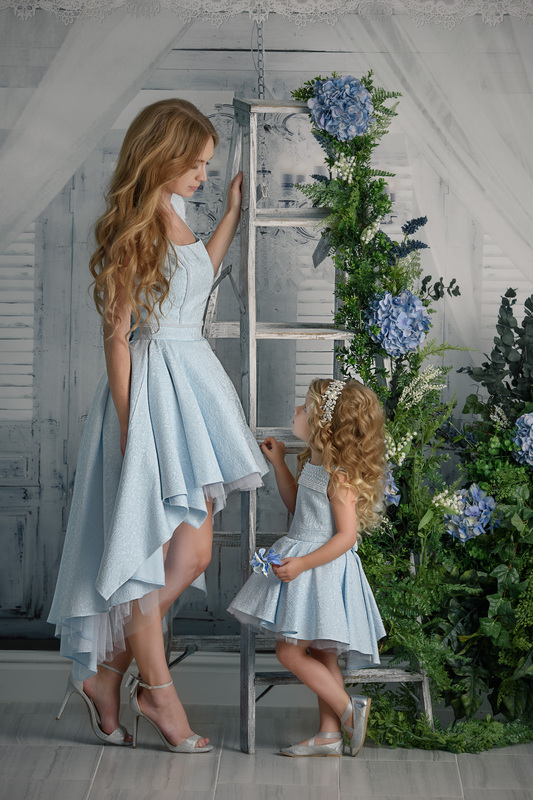 Made with textured light blue fabric, soft tulle, and countless pearls this dress is princess worthy! Skirt features high-low design and multiple layers of tulle to create fullness. Each pearl is sewn by hand to create unique design all over the front part of the dress, back, and on the sleeves. 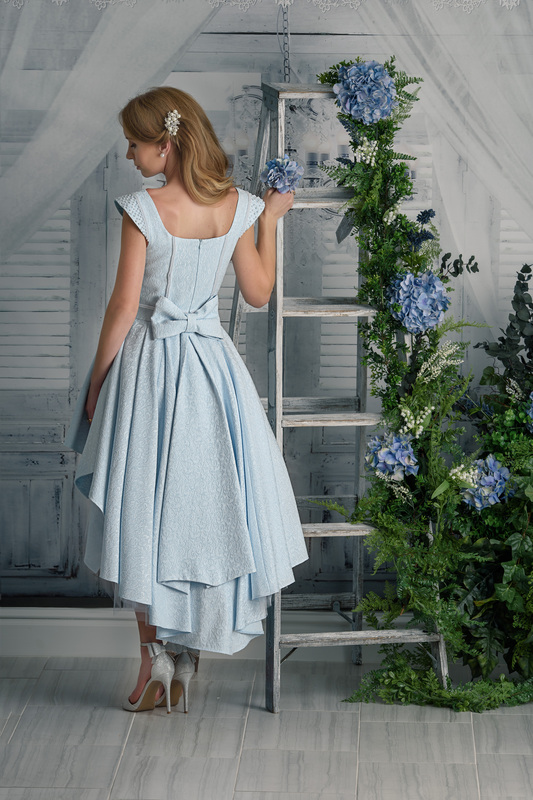 Back of the dress is complete with perfect over-sized bow. Dress is fully lined. Model is 5’8″ and wearing size S.
Stunning design features high-low skirt, luxurious textures material, and extensive pearl beading.